Temperatures Rising In Kentucky, But Slower Than Much Of The U.S.
Thursday is the first official day of summer in theory, but in practice Kentuckians have already been feeling the heat. Warmer days and longer summers are a symptom of rising temperatures across the planet and Kentucky too, is hotter than it used to be. 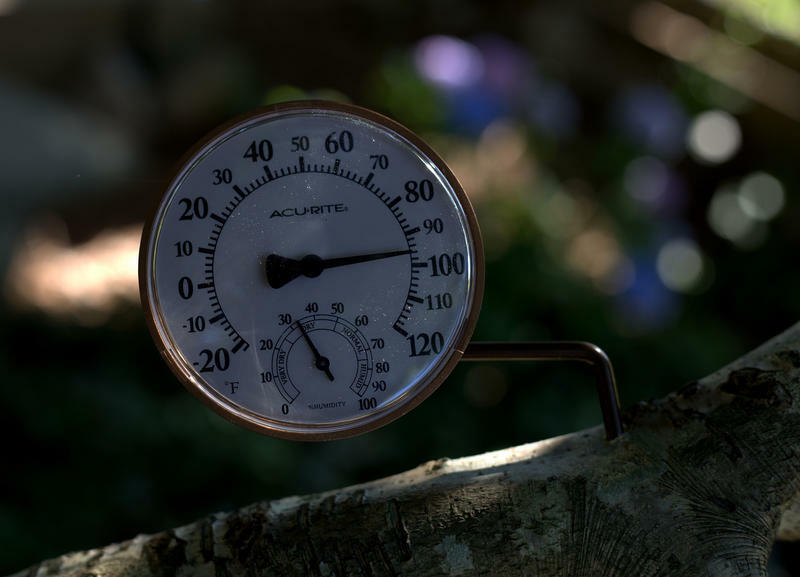 Kentucky’s average temperature increased 1.41 degrees over the last 30 years, according to the latest climate data analyzed by the Associated Press. That’s less than the country’s average, but still enough to have wide-ranging impacts on ecosystems, human health and weather. Over the last 30 years, the world’s annual temperature has warmed nearly a degree, according to the National Oceanic and Atmospheric Administration. At the same time, the earth’s polar regions have lost billions of tons of ice, contributing to sea level rise around the globe. The Ohio Valley and the surrounding region have warmed, but not as fast as other regions in the country. Living near large bodies of water has helped regulate warming temperatures, Noel said. “The big thing is our warming has been a little slower than in other parts of the country just because of our proximity to things such as the Great lakes, Hudson Bay,” he said. Kentucky’s temperatures increased at a slightly lower rate than most other states in the country, ranking 15th out of 50 states for temperature increases. Western Kentucky saw the largest increase over the 30-year time-span at 1.59 degrees — about the same as the country as a whole. Meanwhile, Louisville saw in increase of about 1.46 degrees. The trend will continue over the next two to three decades with temperatures warming about a half-degree per decade on average, Noel said. After 2050 “It could actually increase a little more towards about a degree Fahrenheit change warming per 10 years,” he said. Warming temperatures mean more hot summer days, higher likelihoods for droughts and an increased risk of large storms. In the city, that means more high ozone days, which can increase the risk of asthma, respiratory infections and other health problems. It also means more electricity will be used as people run their air-conditioning longer. More variability in weather will also affect crop production, said Margaret Carreiro, associate professor at the University of Louisville researching the ecology of cities. Despite all of that, Carreiro said Kentucky is well-placed geographically, for the long-term effects of climate change. “We still have a lot of farmland so we could become a bread basket of sorts for our region, if we don’t pave over all that good farmland,” she said. 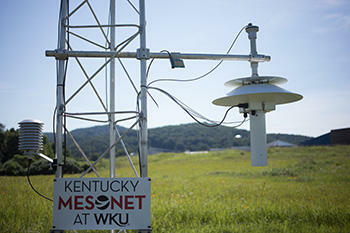 The Kentucky Mesonet is adding its 70th station created through a partnership with the Pulaski County community. The new weather station will be located at Northern Elementary School in Somerset. Installation of that station is expected to begin later this spring. Stuart Foster is the state climatologist and director of Kentucky Mesonet and the Kentucky Climate Center. He said locating a weather station at a school offers educational opportunities. It’s going to be a hot next few weeks in Louisville, with temperatures projected to reach the upper 80s or 90s almost every day. Flavio Lehner says to get used to it. Lehner, a post-doctoral researcher at the National Center for Atmospheric Research, is the author of a study on summer temperature projections. Using climate forecasting data, he and his colleagues found that if carbon dioxide emissions continue on their current pace, it’ll translate to hotter summers for most of the globe. 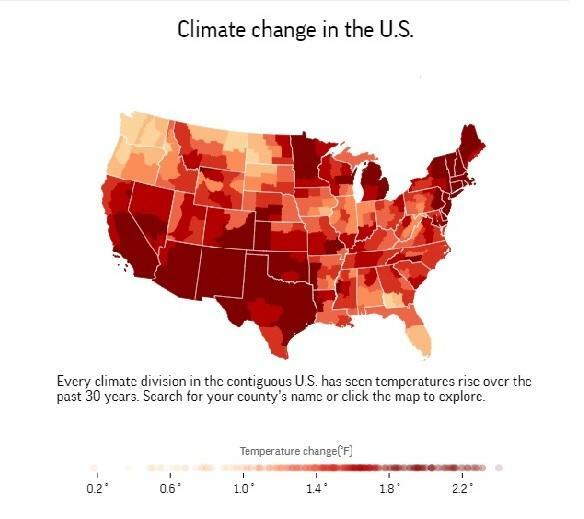 “Towards the end of this century, under a scenario where we continue emitting greenhouse gas unabated, you will see a very large chance that basically every summer in most parts of the world will be as hot or hotter than the hottest we’ve seen up to date,” Lehner said. 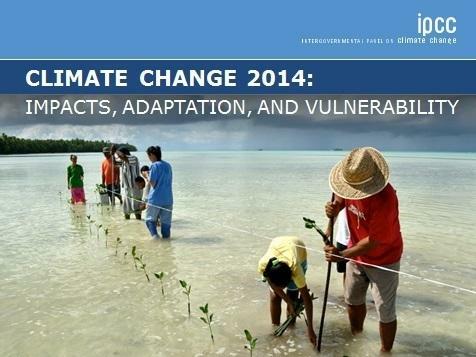 "The effects of climate change are already occurring on all continents and across the oceans," and the world is mostly "ill-prepared" for the risks that the sweeping changes present, a new report from the U.N.'s Intergovernmental Panel on Climate Change concludes. The Kentucky state climatologist said scientists must continue to provide updated climate information to U.S. decision makers. The comments come after President Donald Trump’s decision to remove the U.S. from the Paris Climate Agreement. 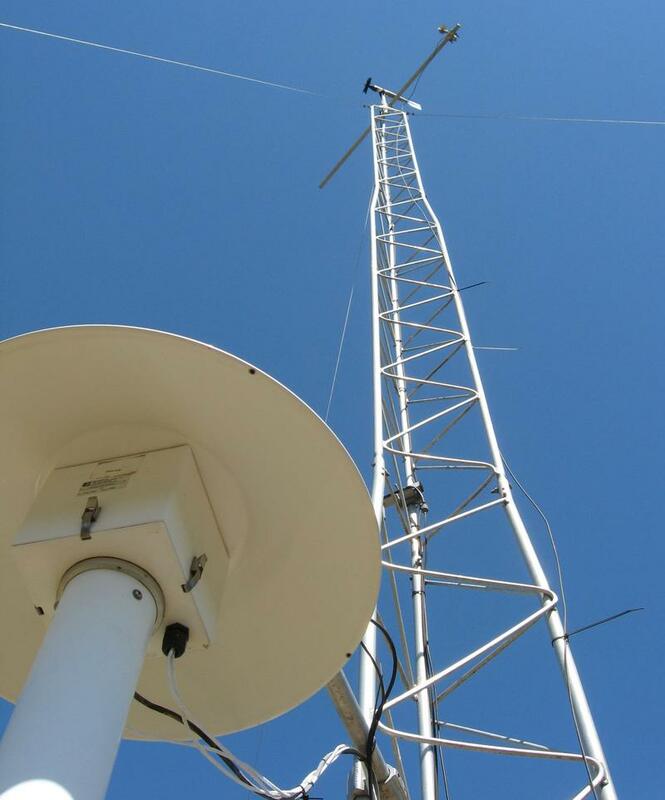 State Climatologist Stuart Foster oversees the Kentucky Mesonet with weather and climate monitoring stations across the state. Foster is director of the Kentucky Climate Center and said Mesonet provides extensive data that’s available to state policy makers. Foster said there are natural climate variations from year-to-year.